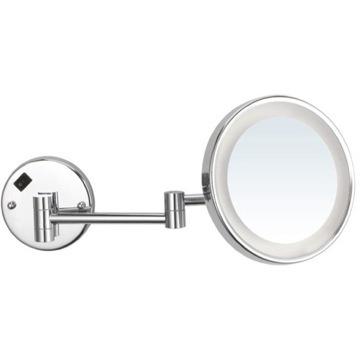 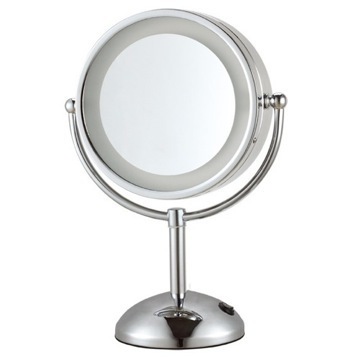 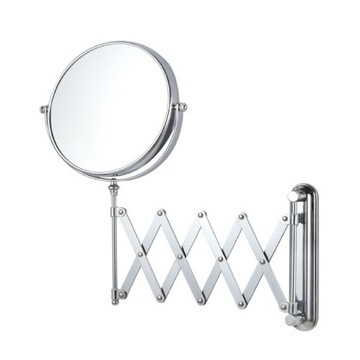 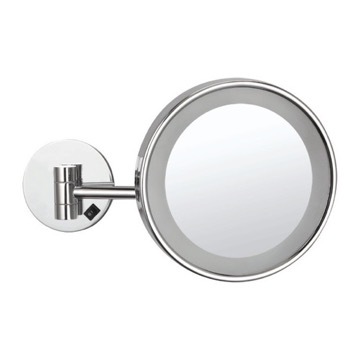 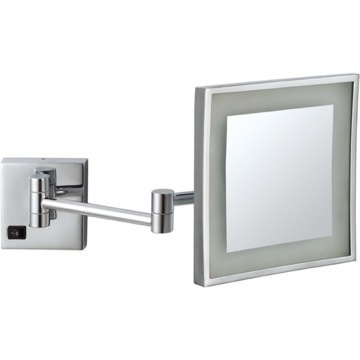 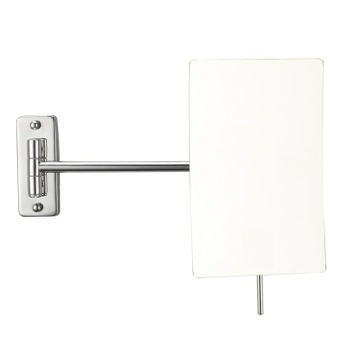 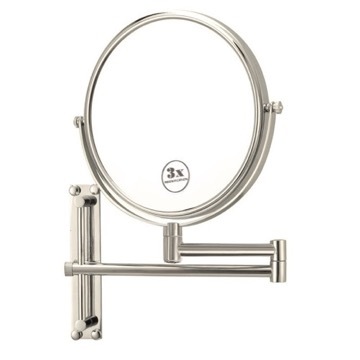 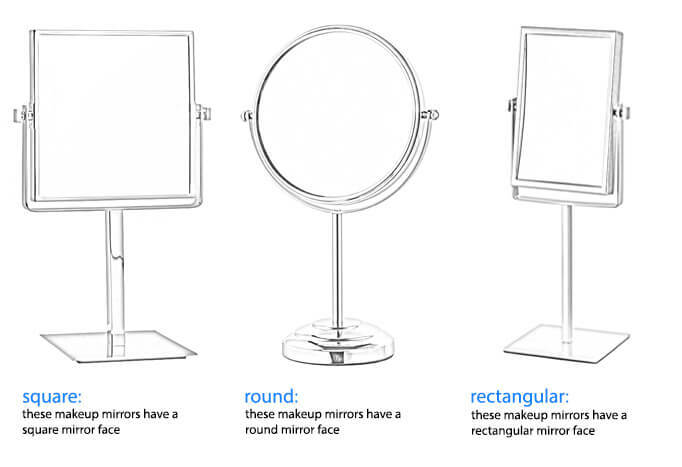 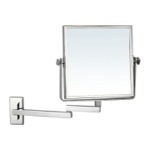 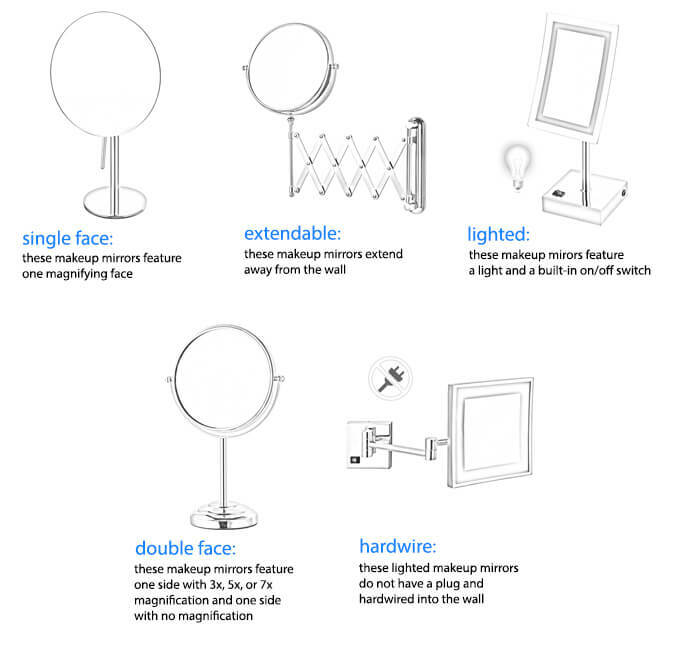 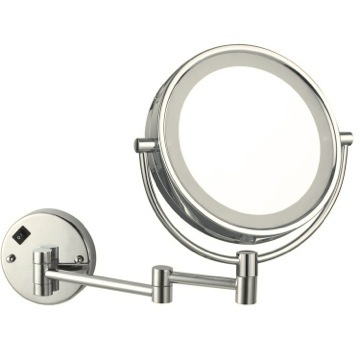 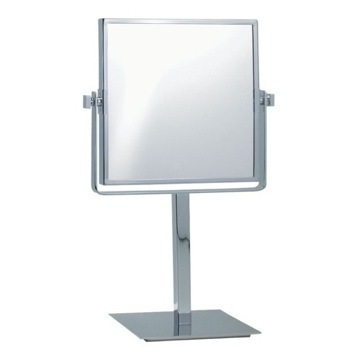 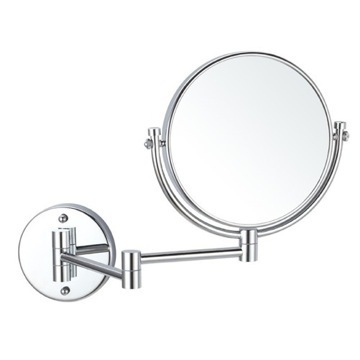 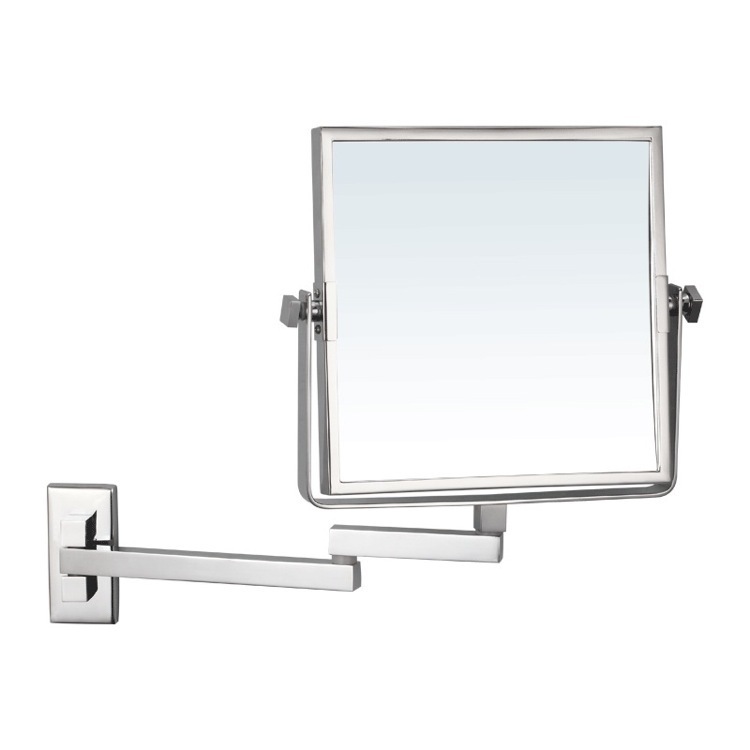 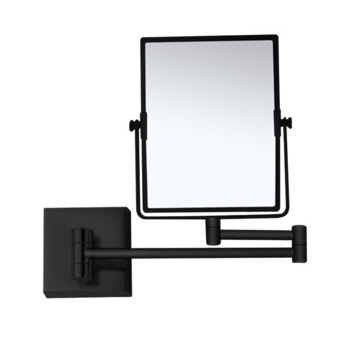 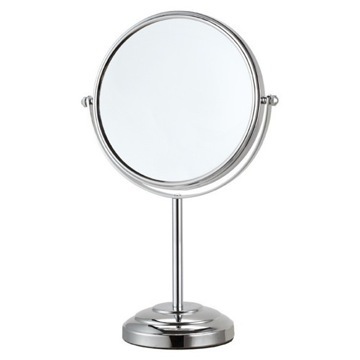 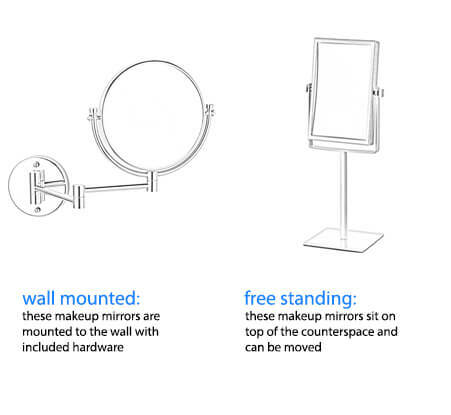 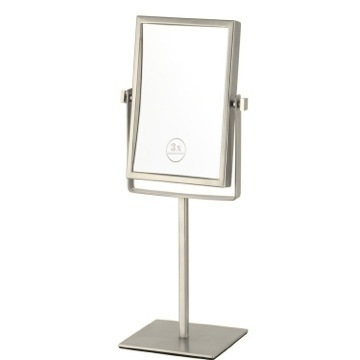 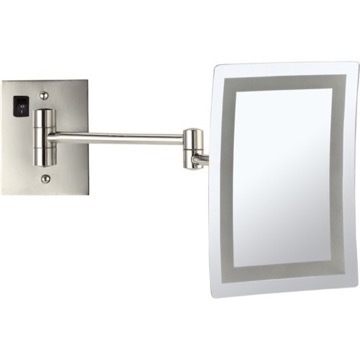 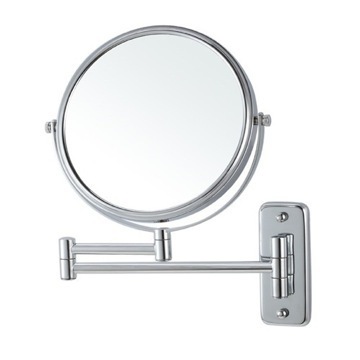 Extendable, double faced wall mounted makeup mirror featuring 3x magnification. 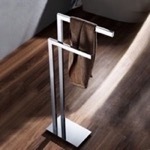 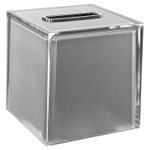 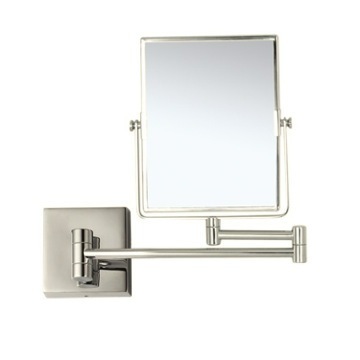 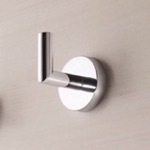 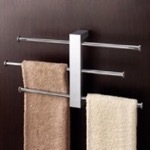 The square profiled mirror is made of brass and comes in chrome. 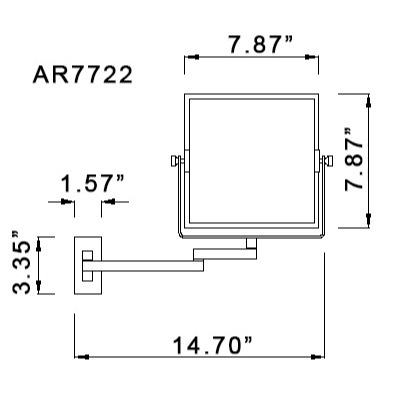 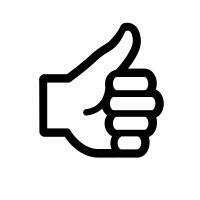 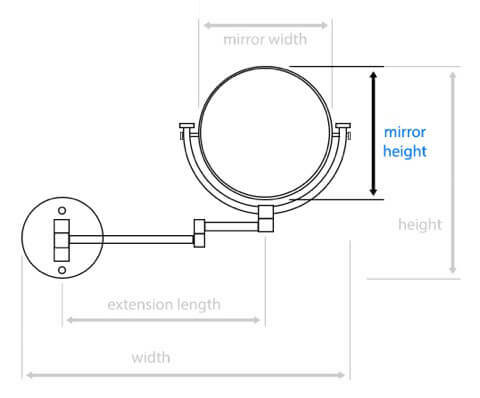 Is one side, of the mirror, flat (i.e., no magnification)? 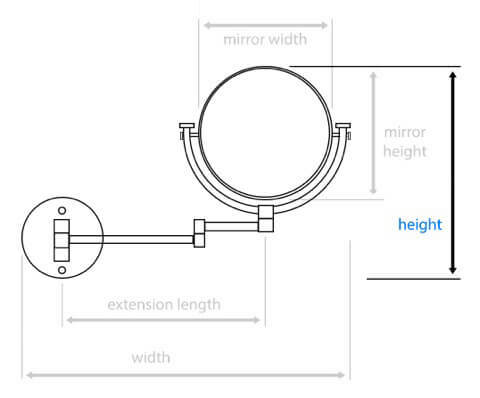 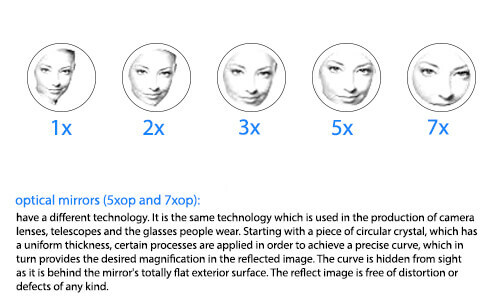 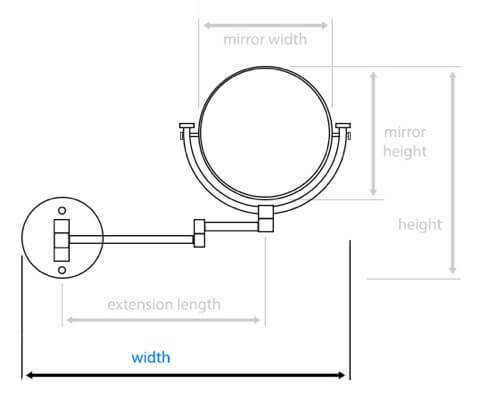 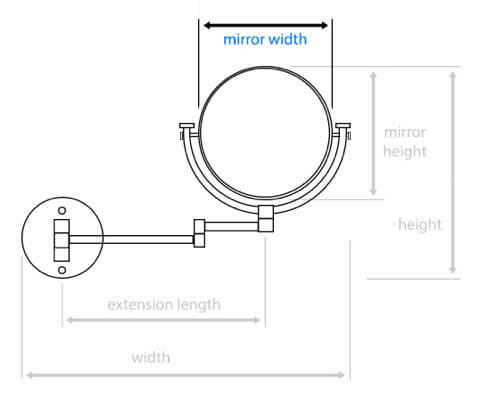 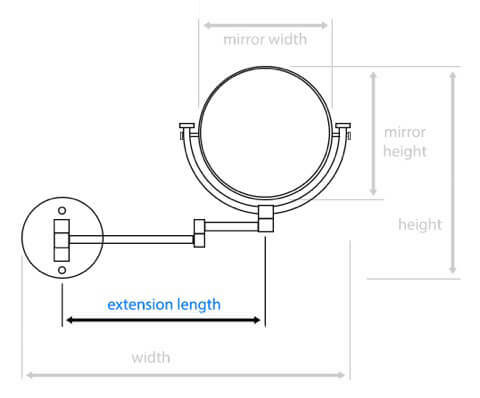 One side of the mirror will be a standard 1x magnification, while the other side will be a 3x magnification.